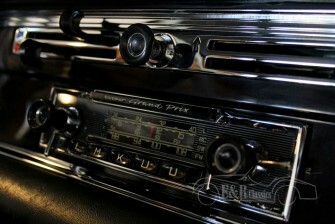 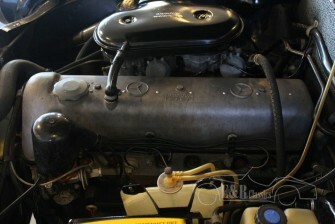 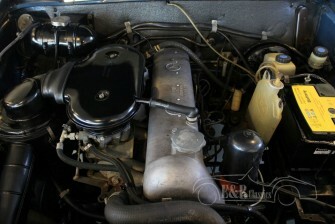 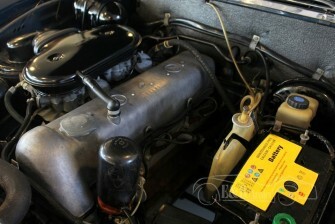 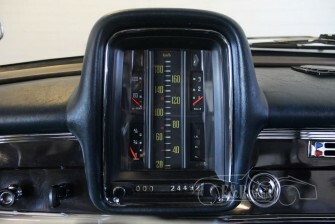 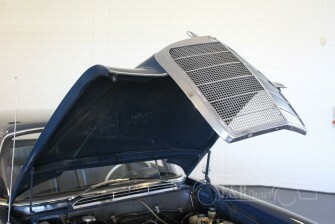 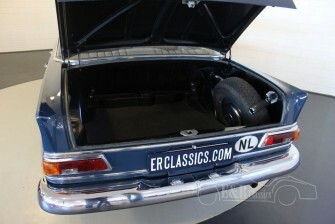 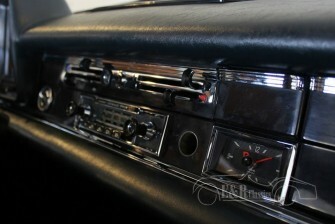 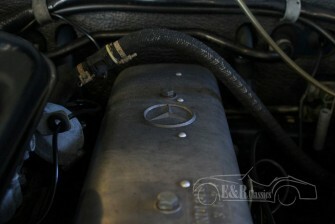 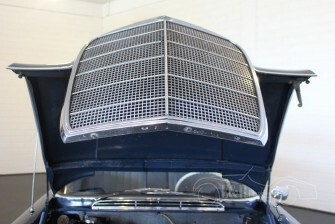 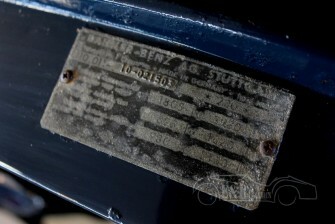 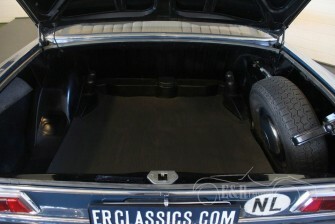 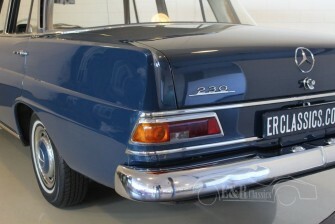 The Mercedes-Benz W110 series was built between 1961 and1968 en is often mentioned Heckflosse. 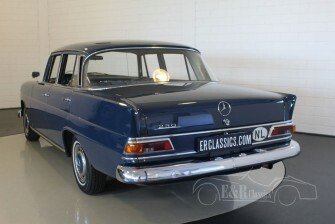 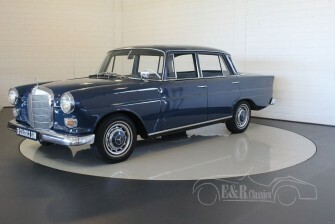 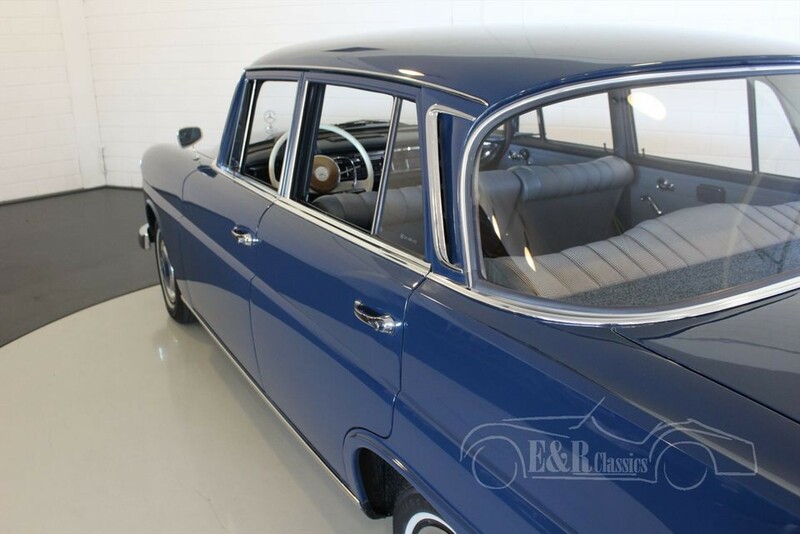 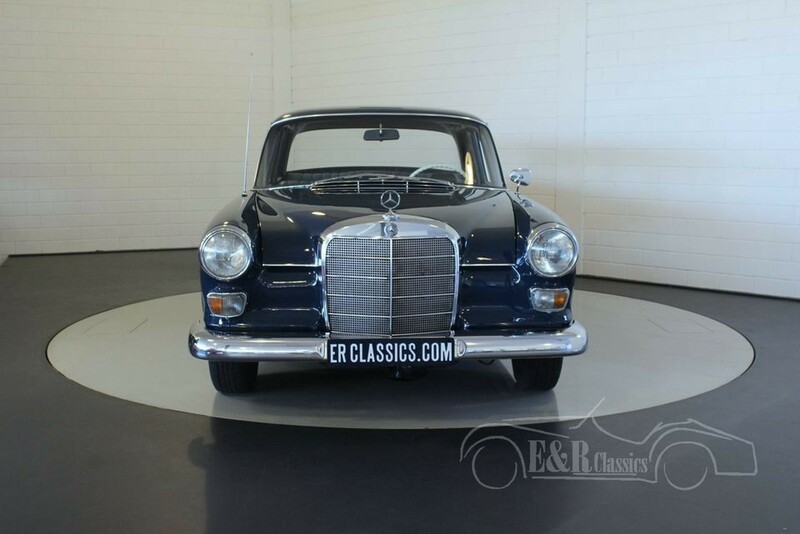 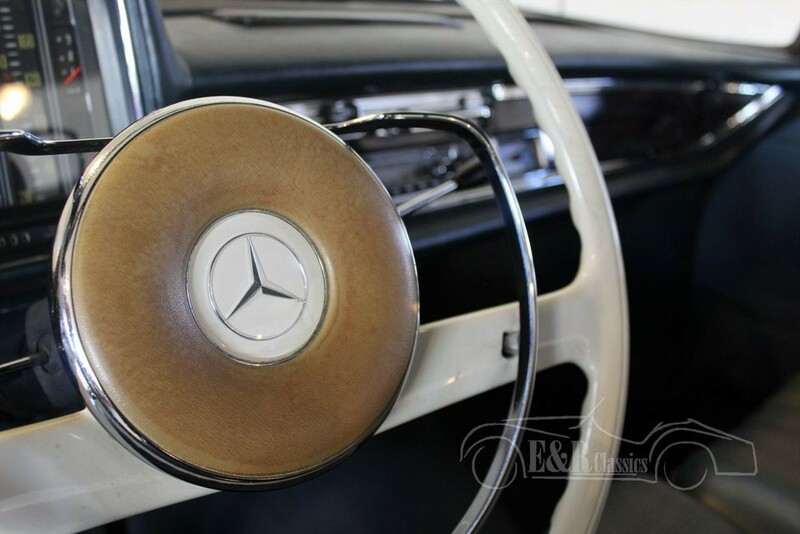 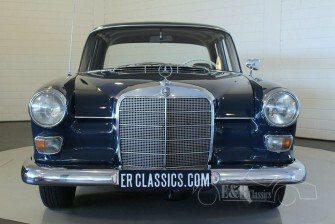 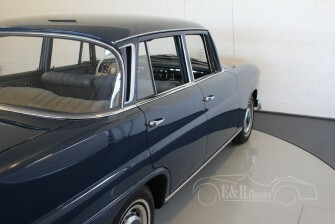 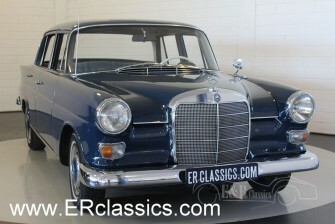 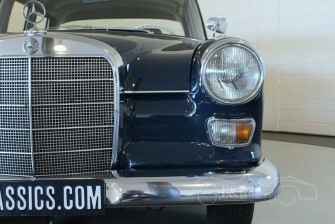 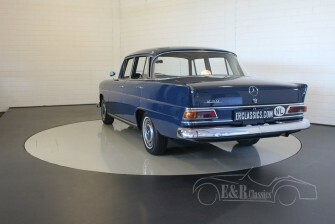 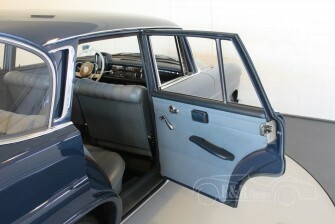 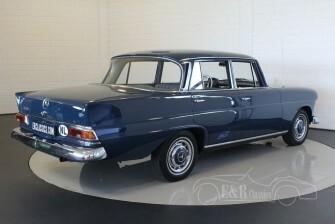 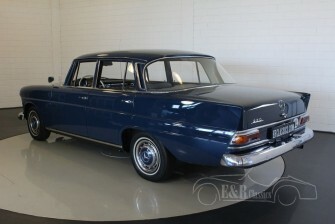 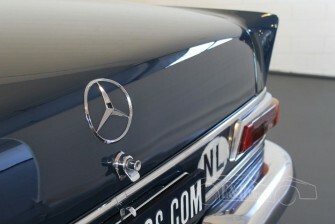 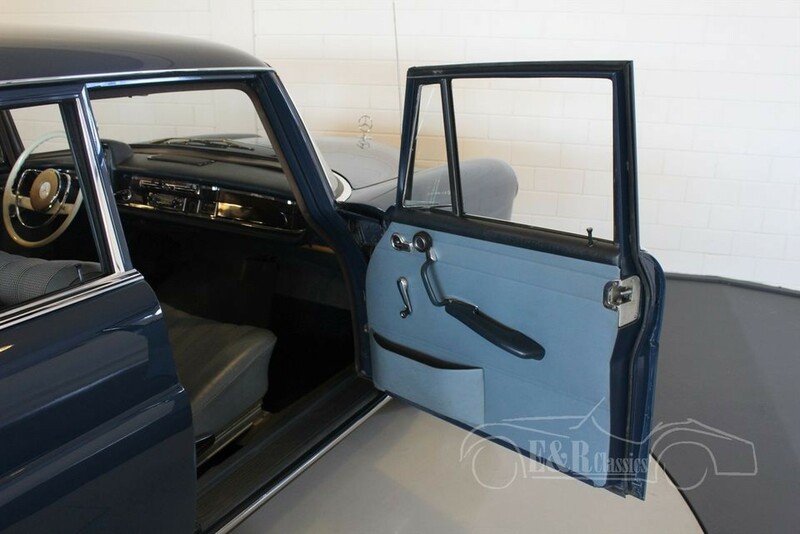 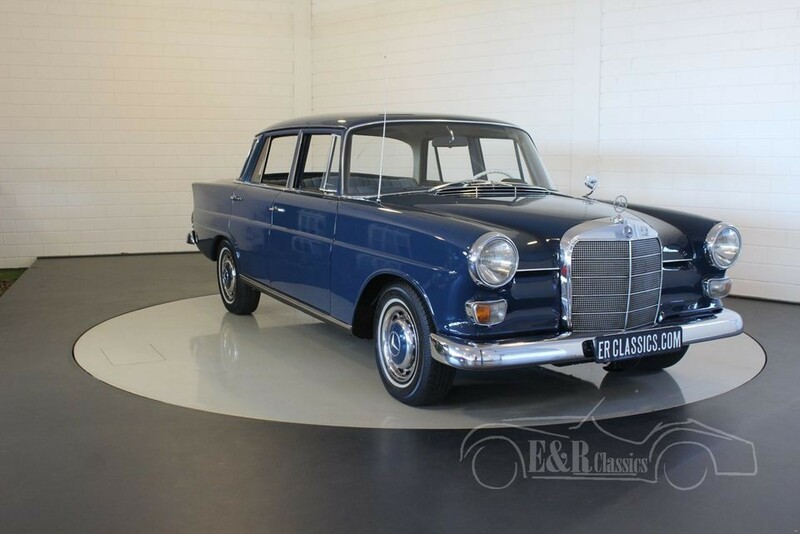 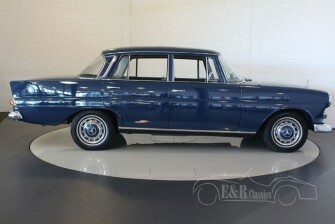 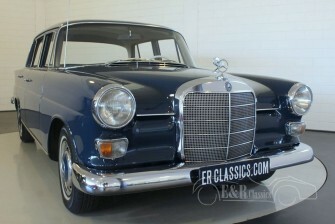 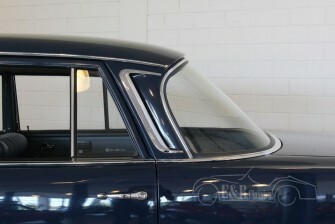 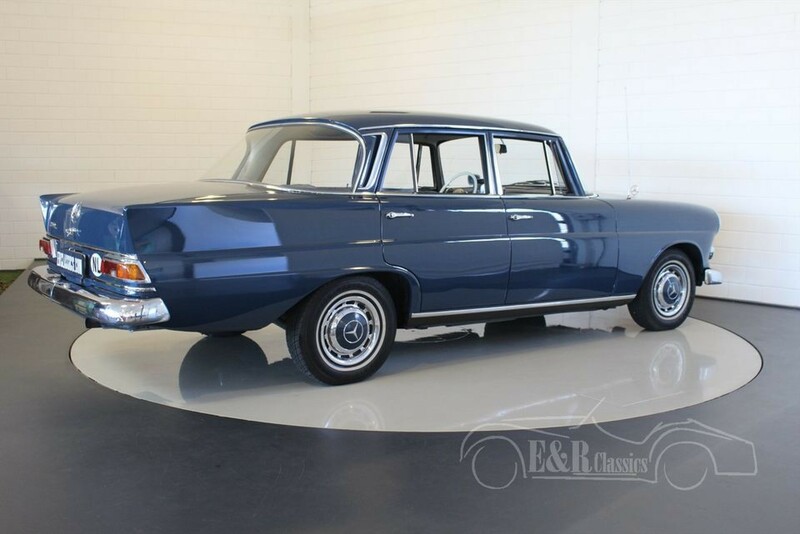 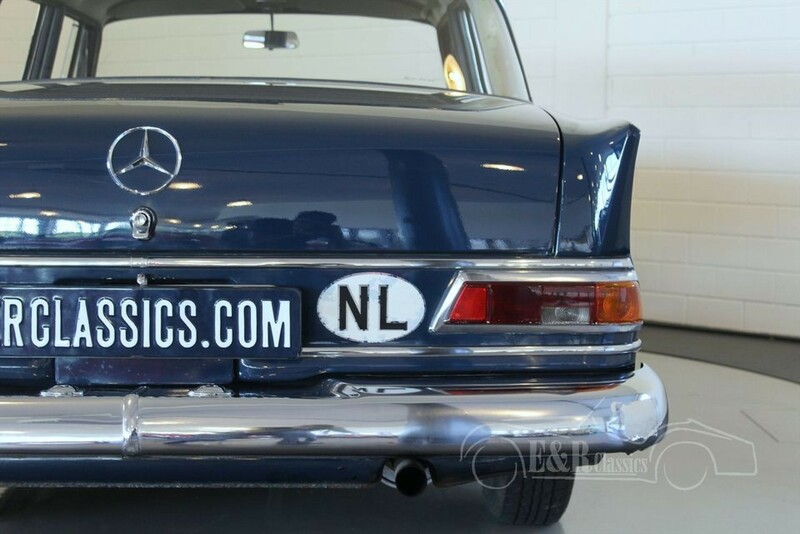 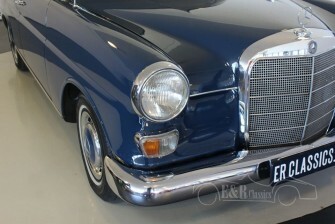 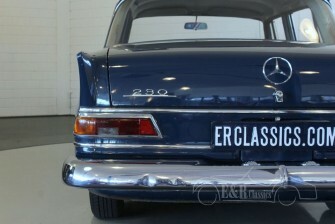 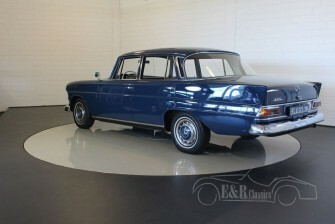 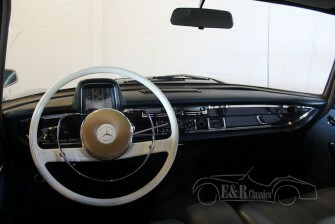 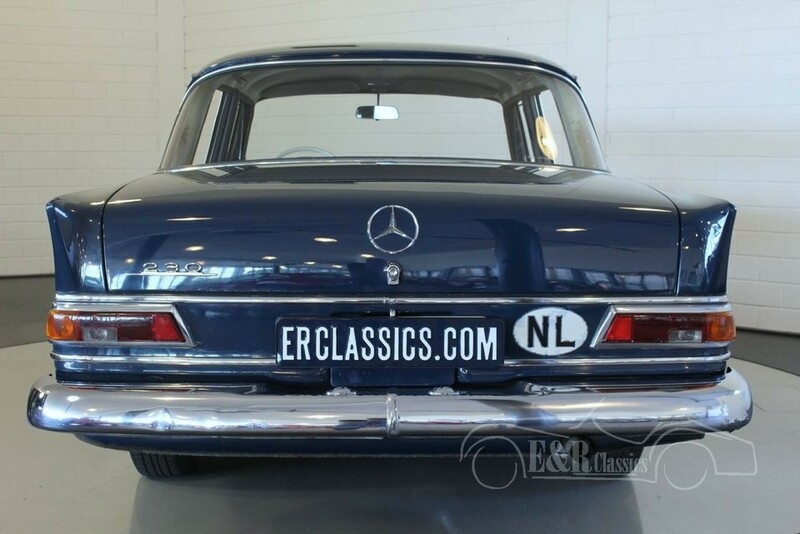 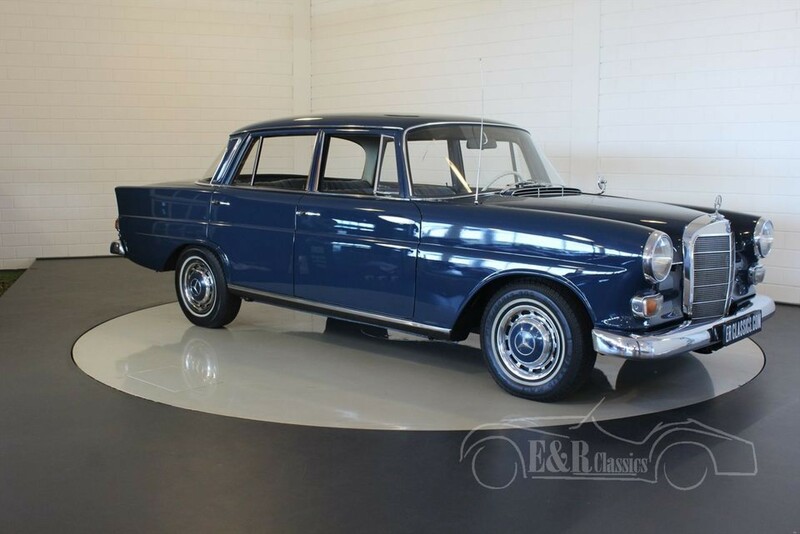 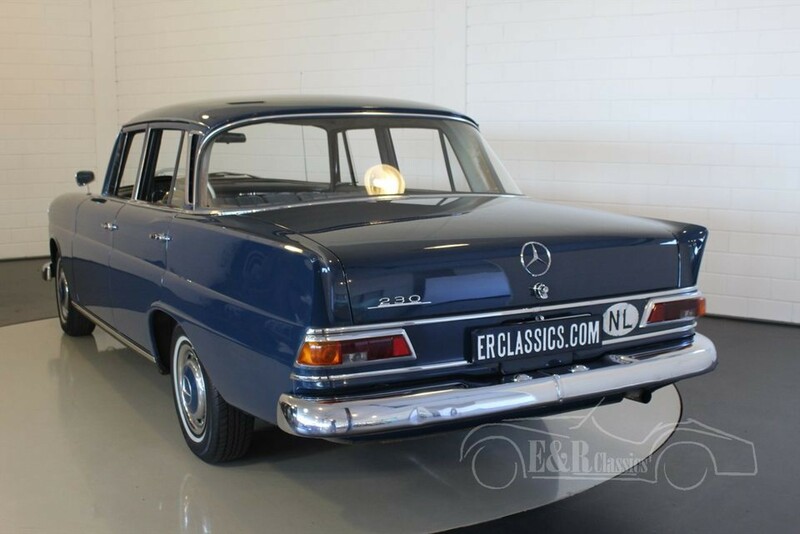 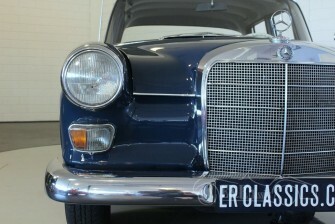 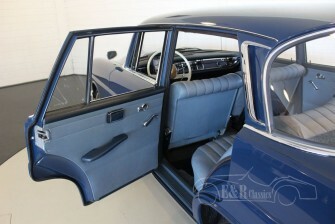 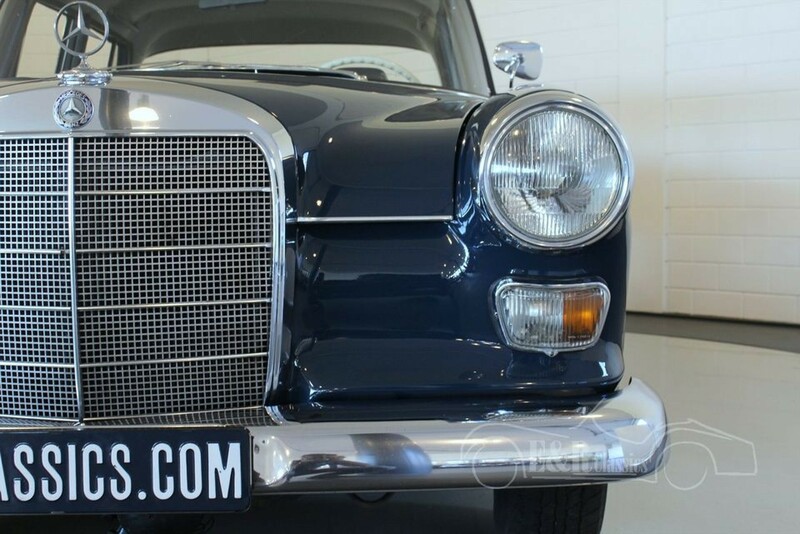 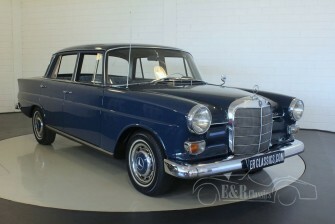 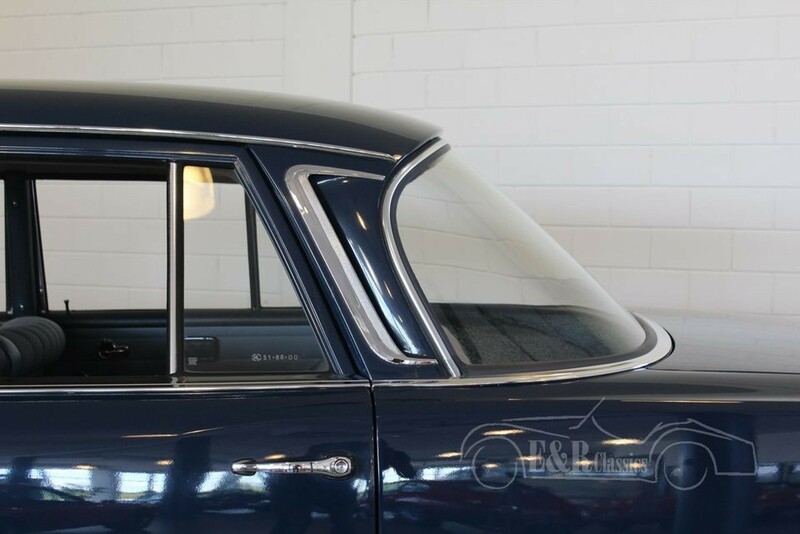 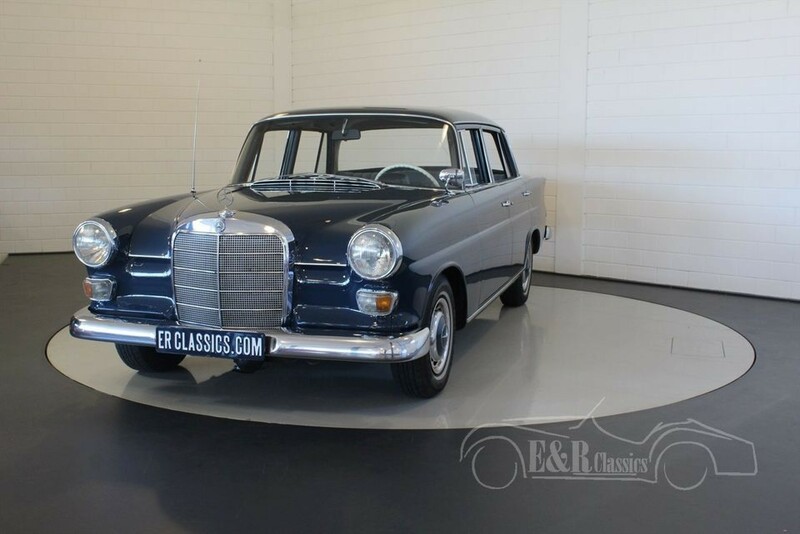 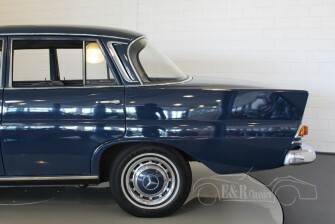 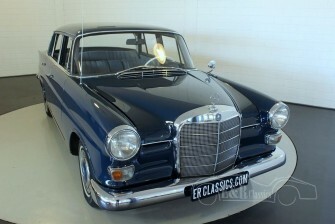 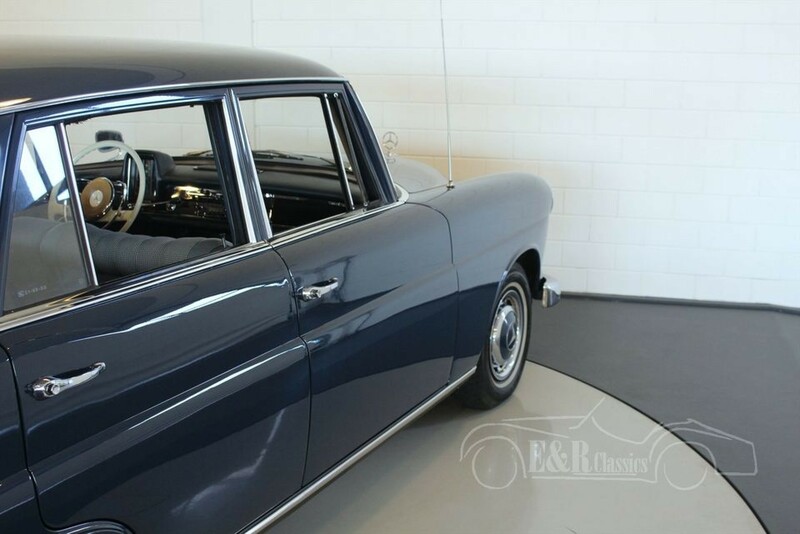 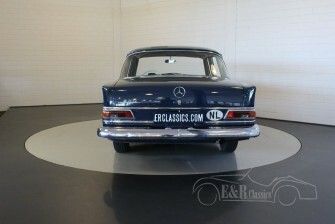 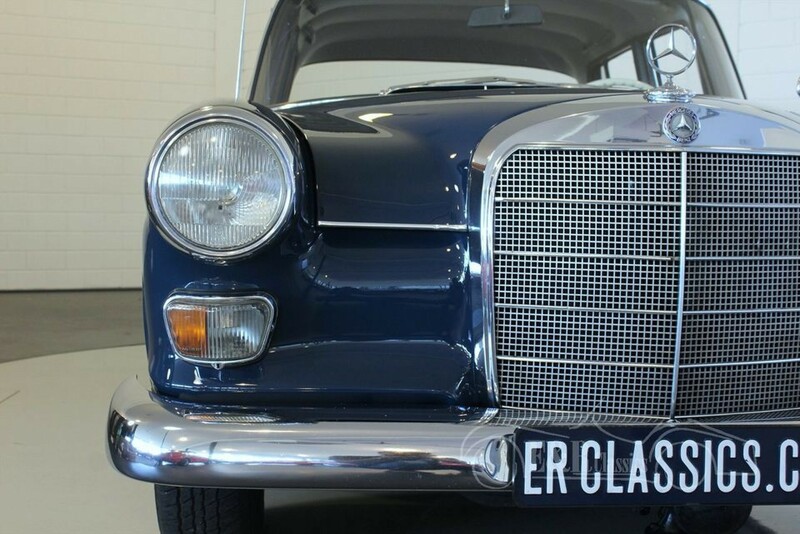 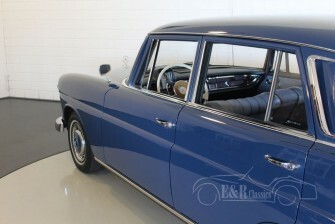 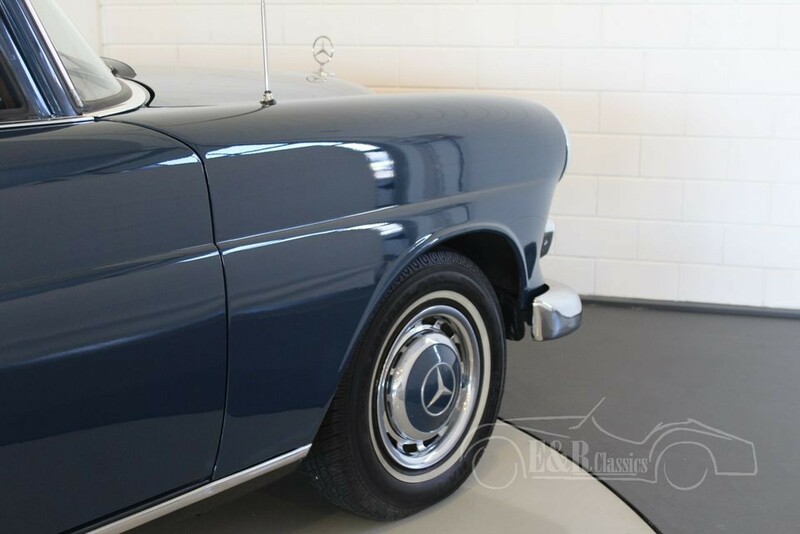 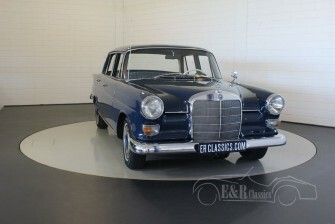 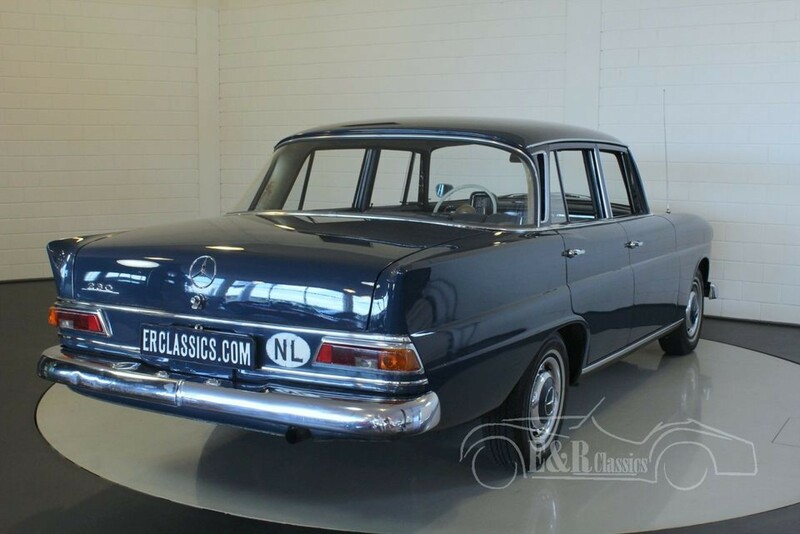 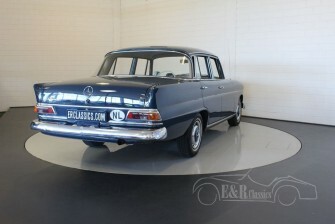 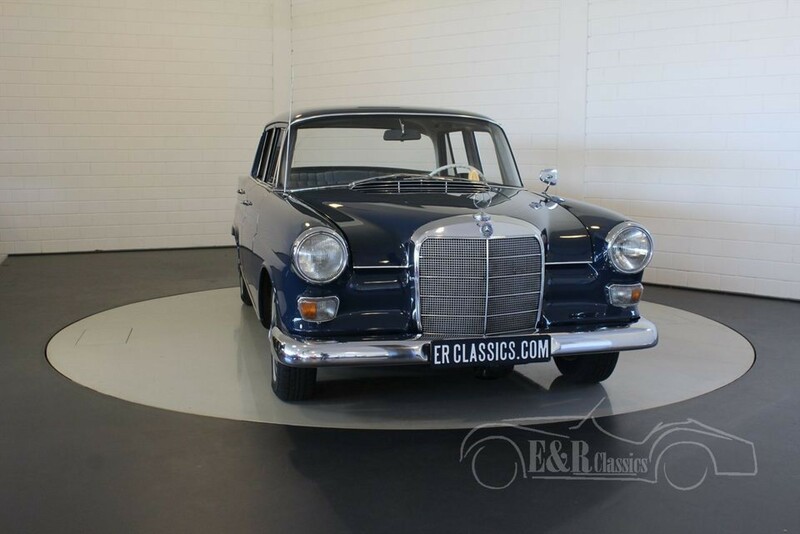 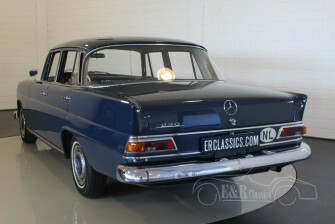 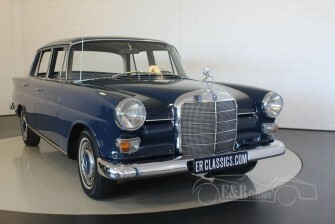 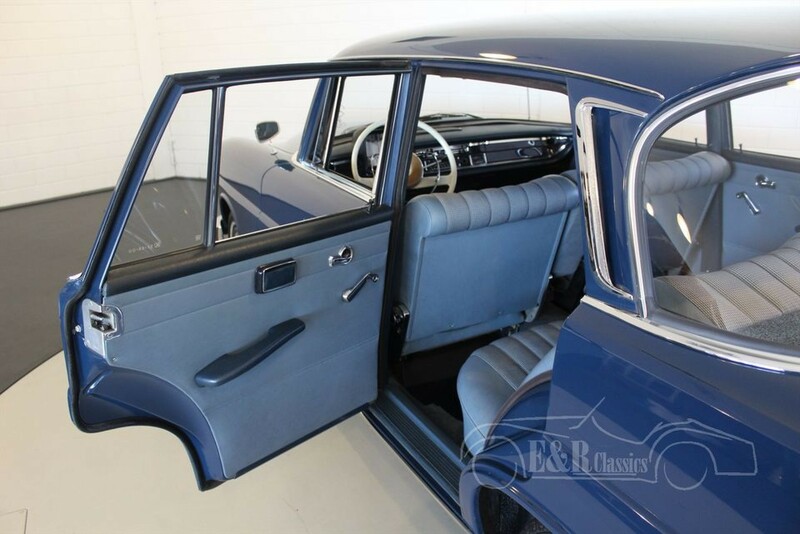 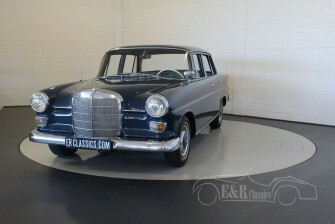 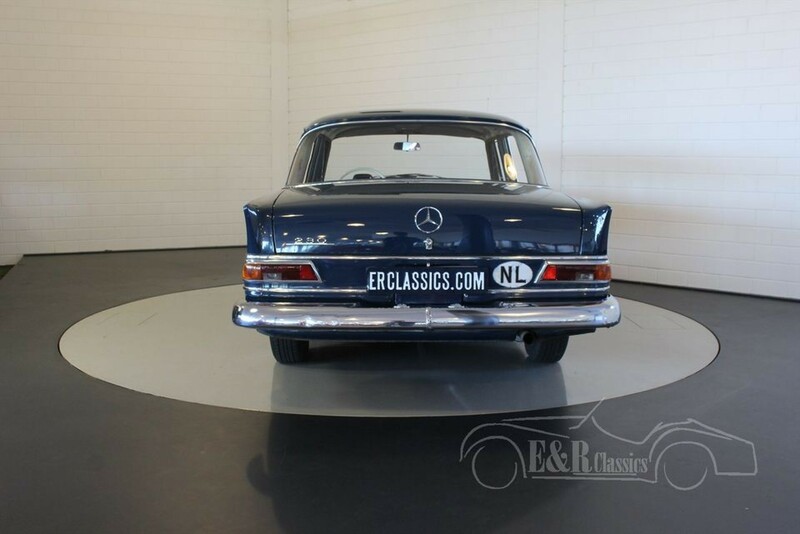 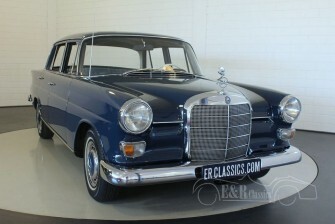 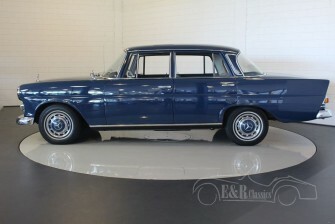 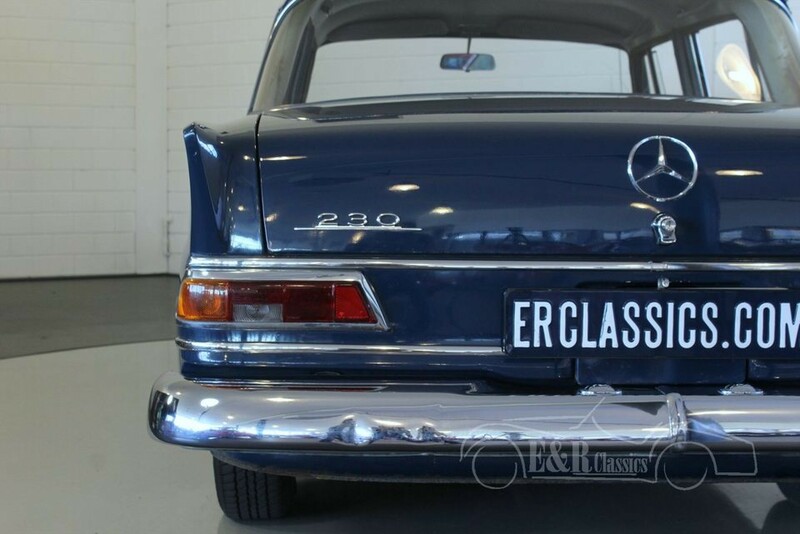 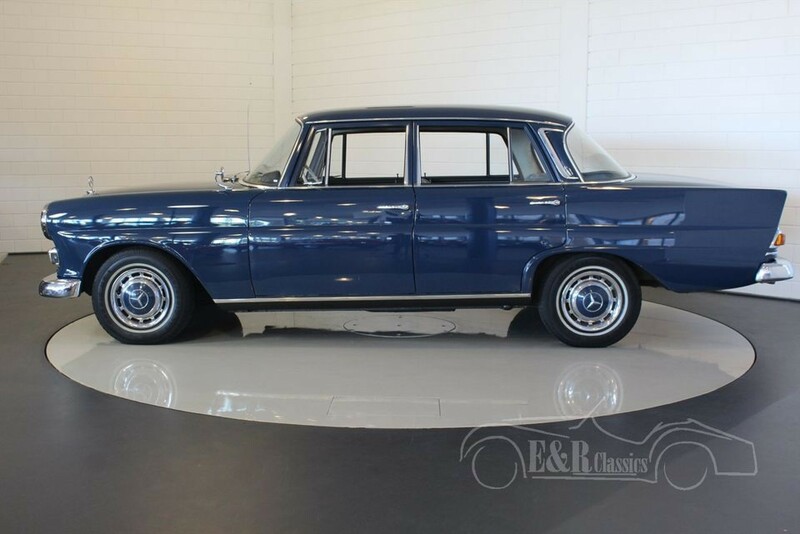 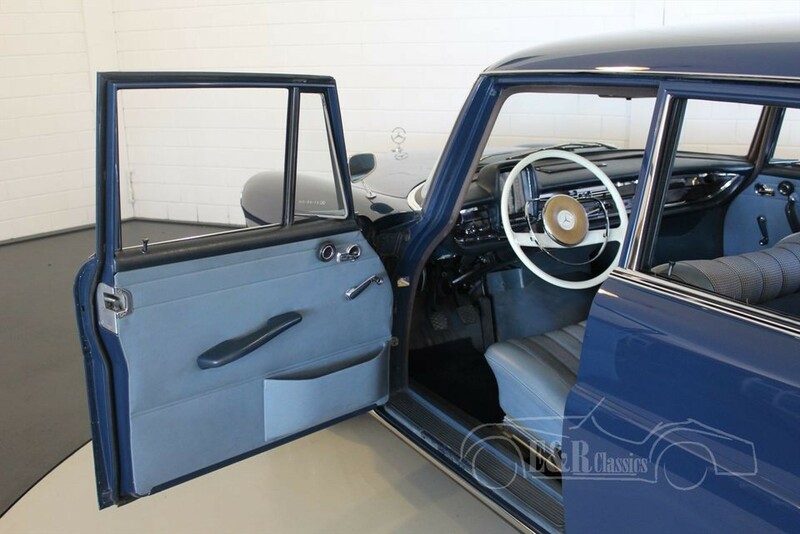 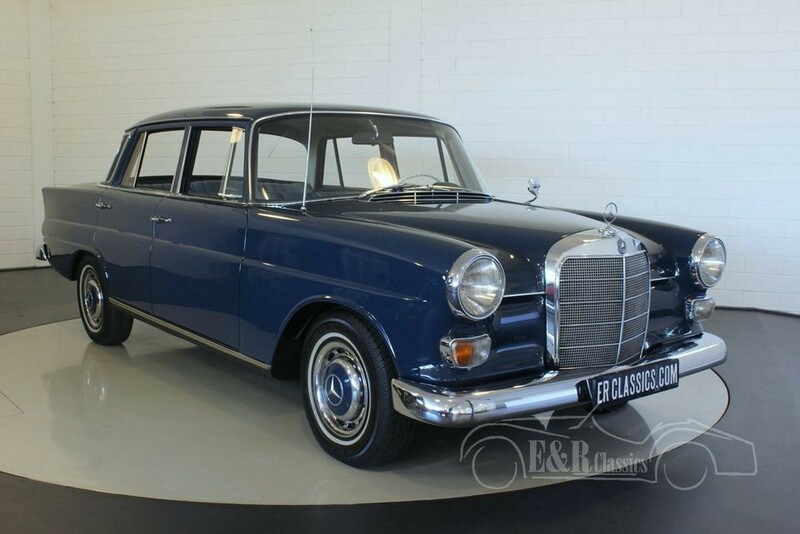 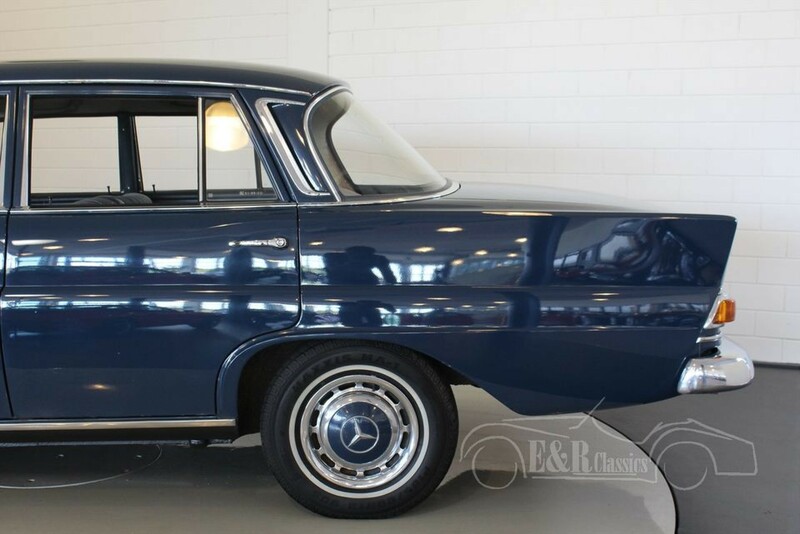 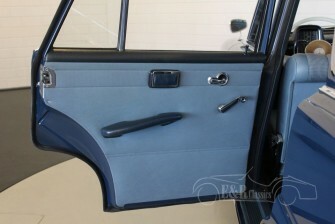 This beautiful Mercedes-Benz 230 is delivered in 1967 and has 70% first paint in the colour “Mittelblau”. The interior as the exterior are in very good original shape. 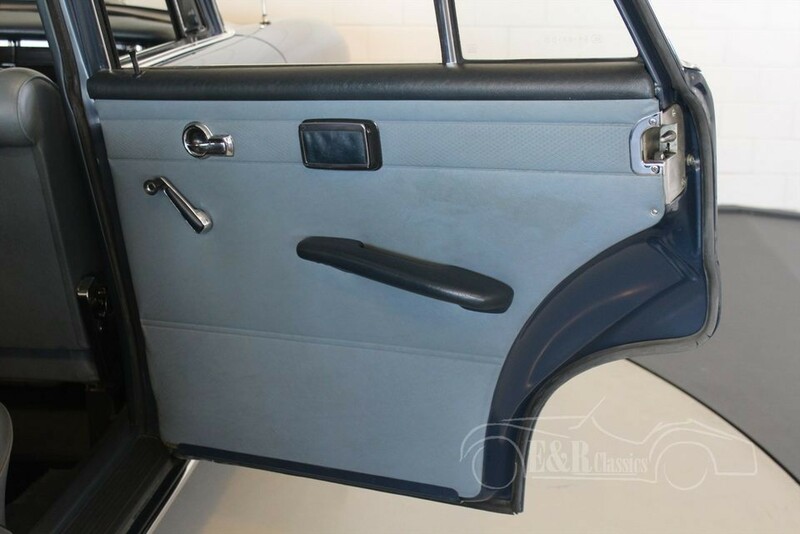 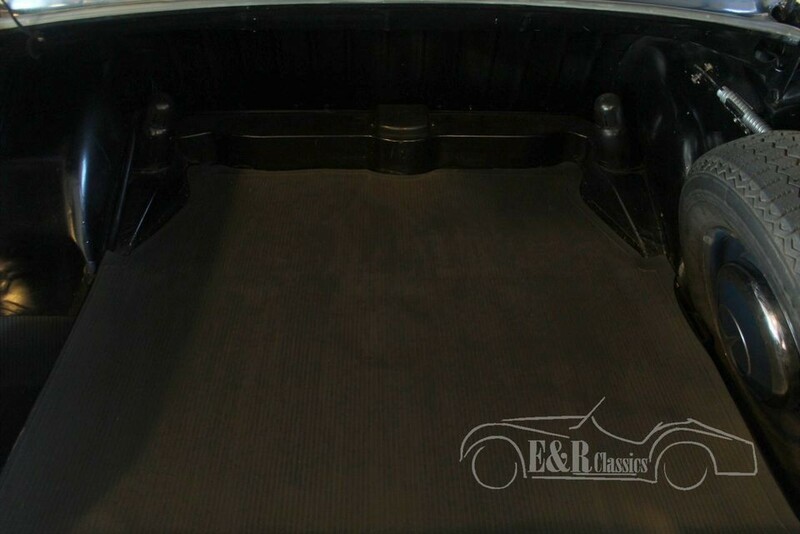 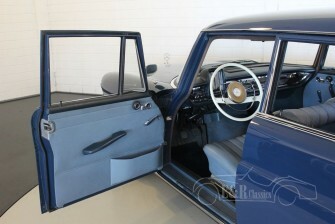 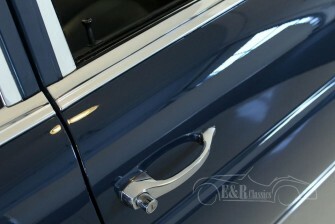 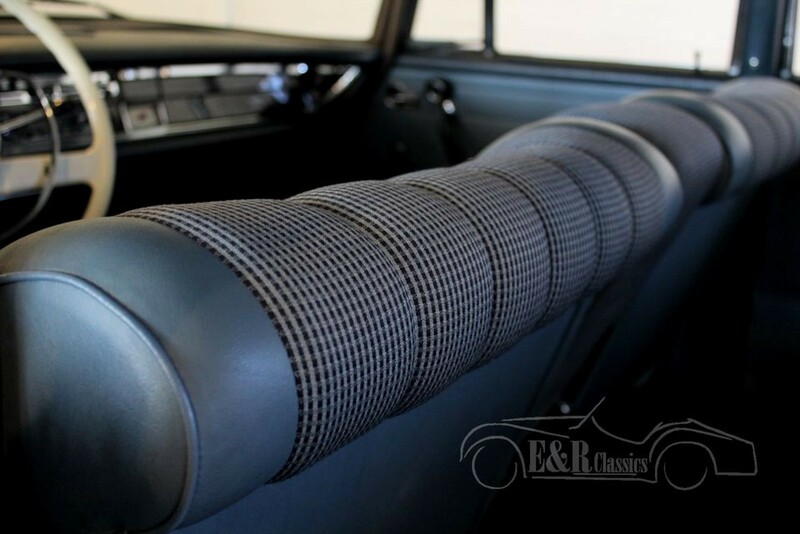 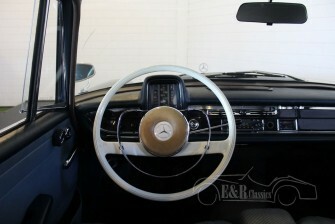 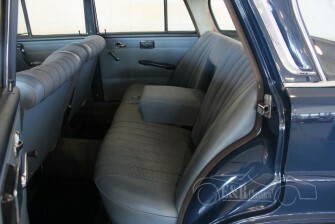 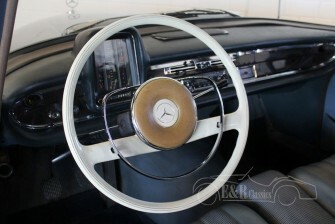 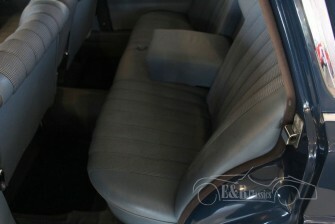 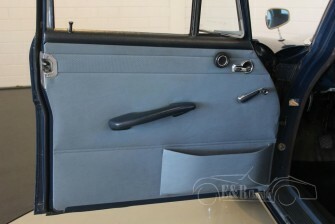 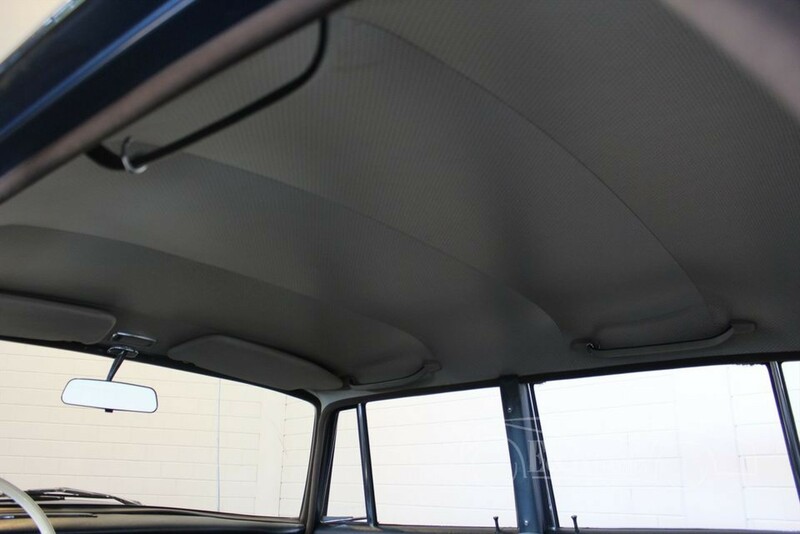 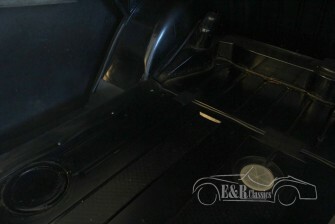 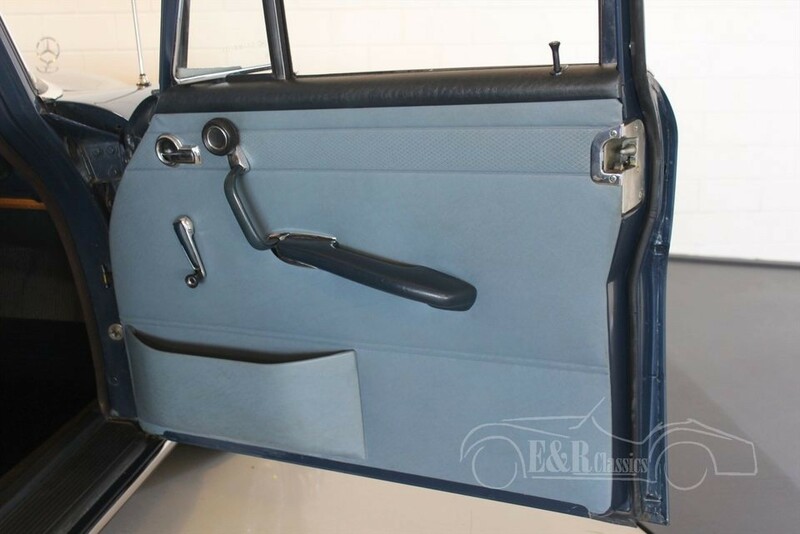 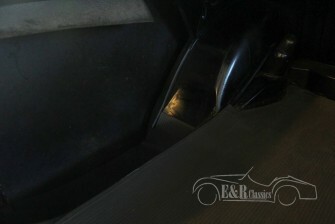 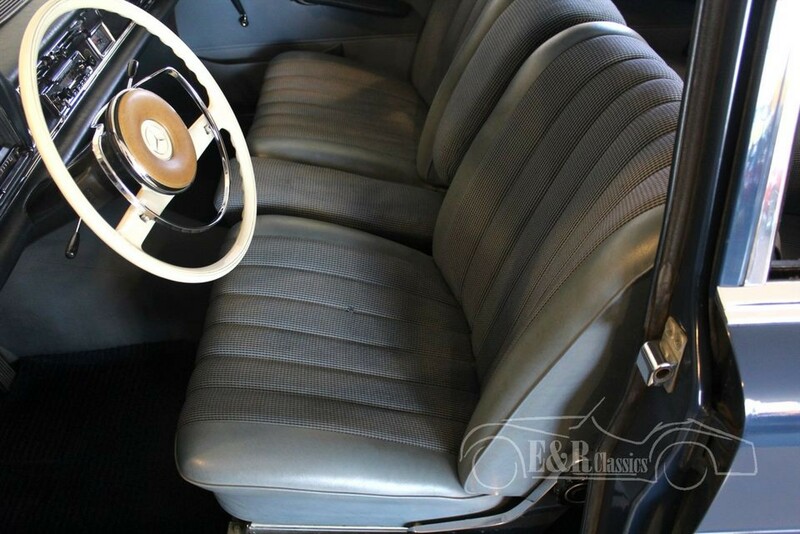 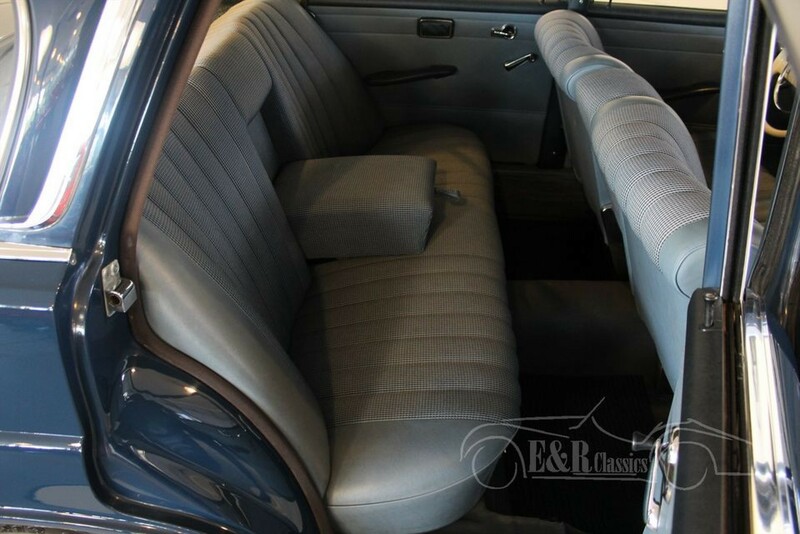 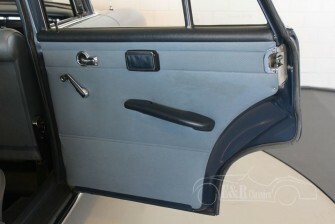 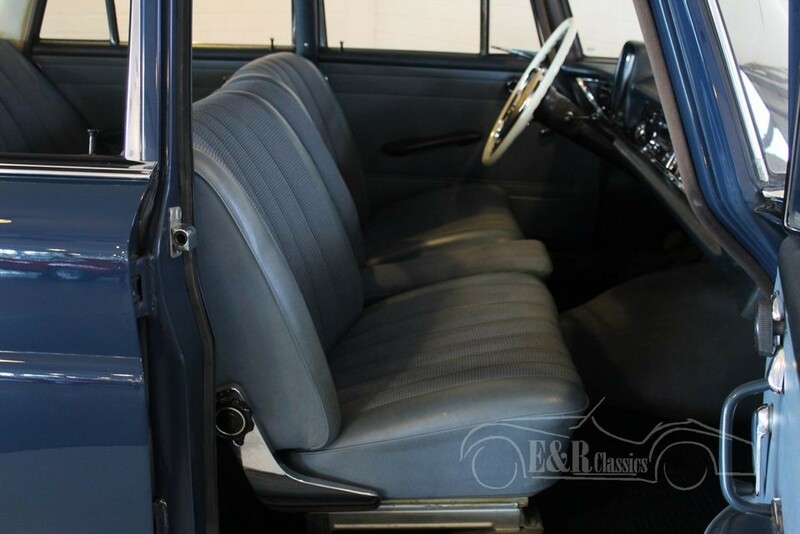 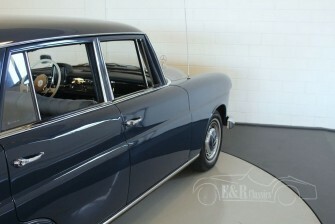 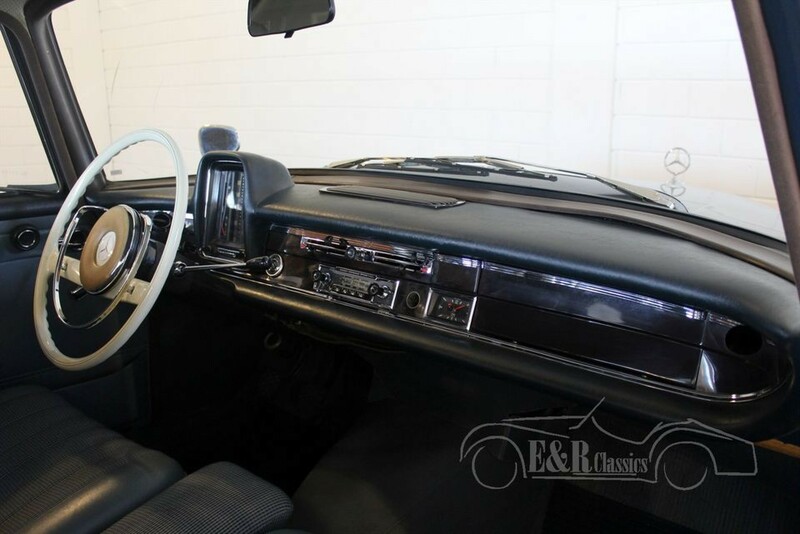 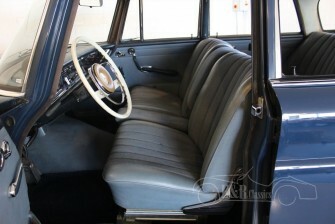 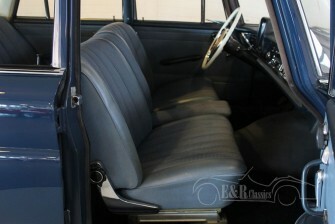 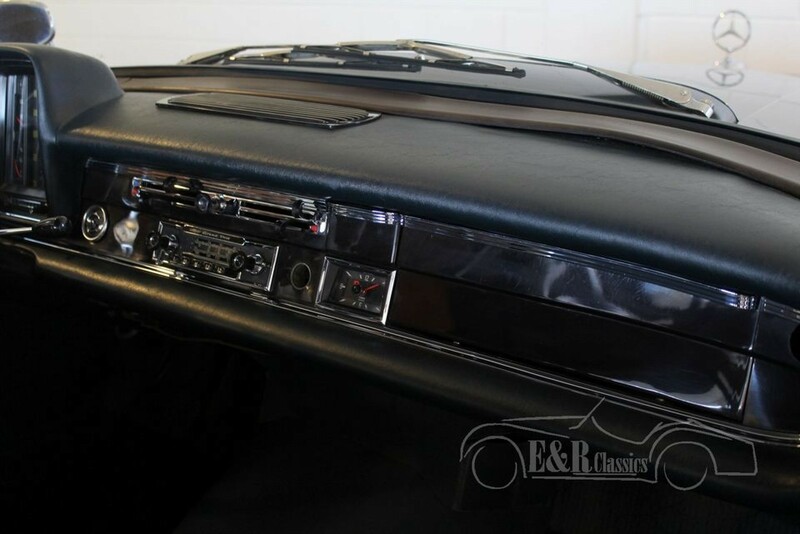 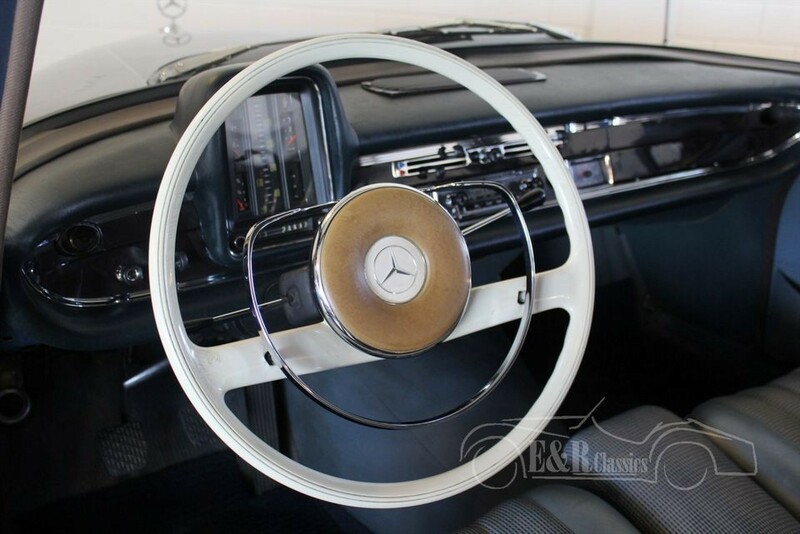 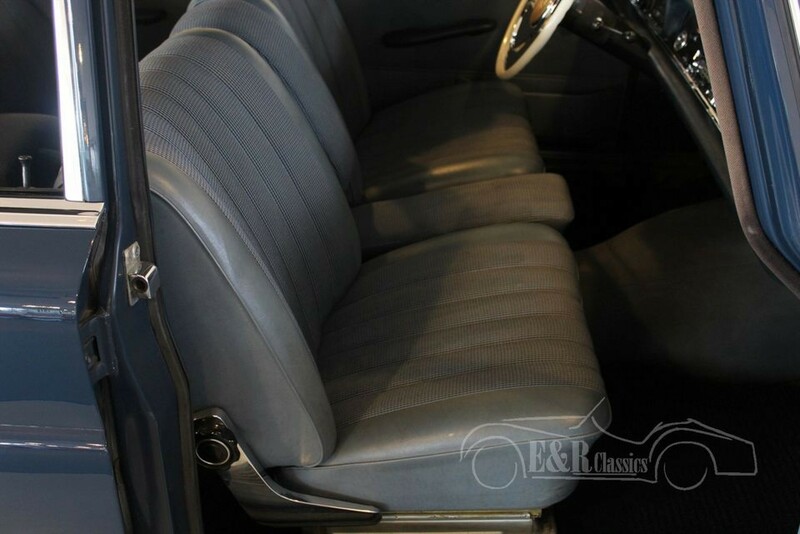 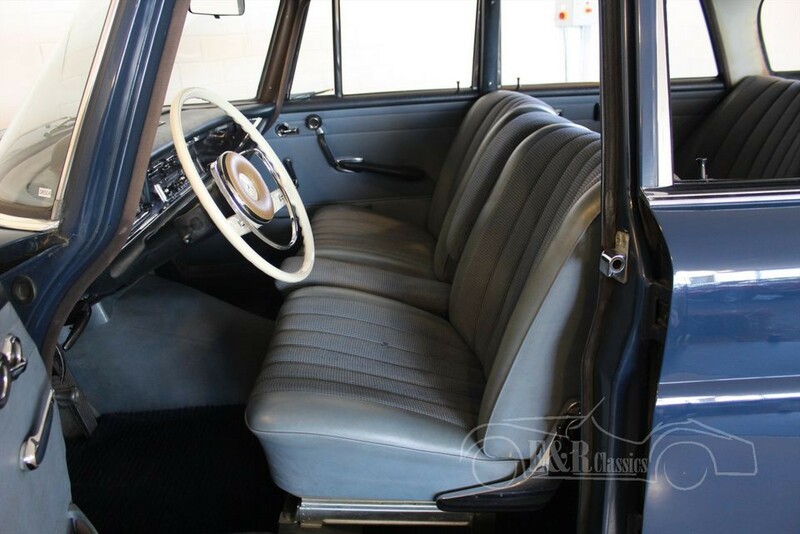 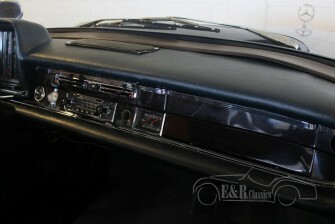 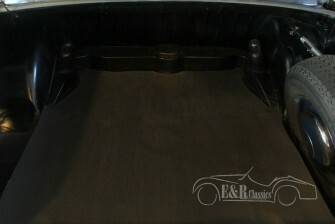 The interior has beautiful grey-blue cloth and also a marvellous white steeringwheel. 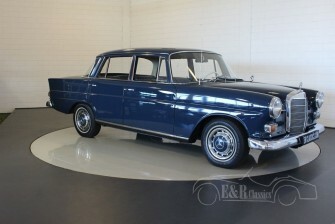 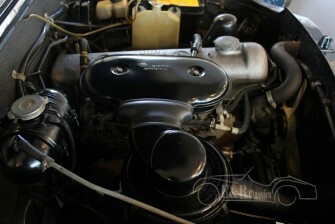 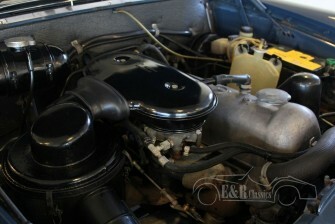 The 2281CC, original 6 cyl, 105HP is attached to a manual gearbox very nice to use. 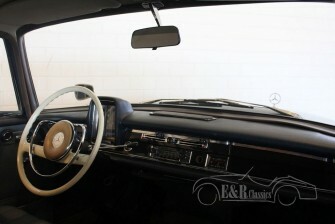 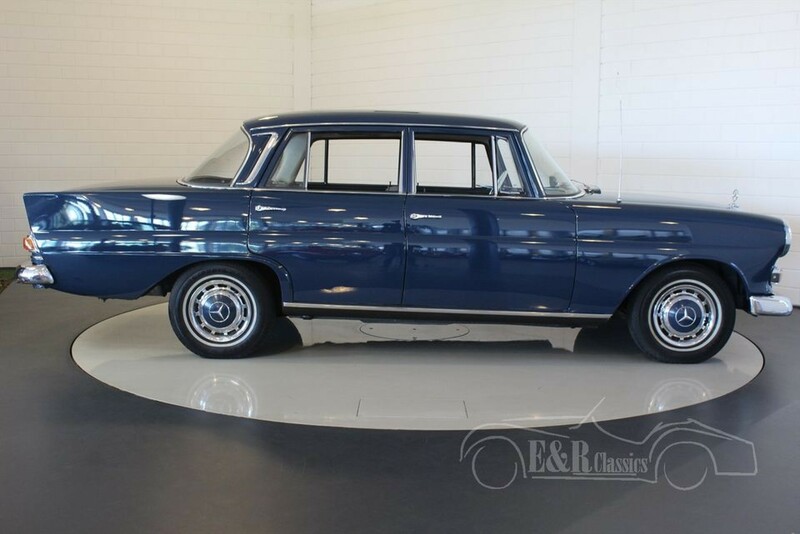 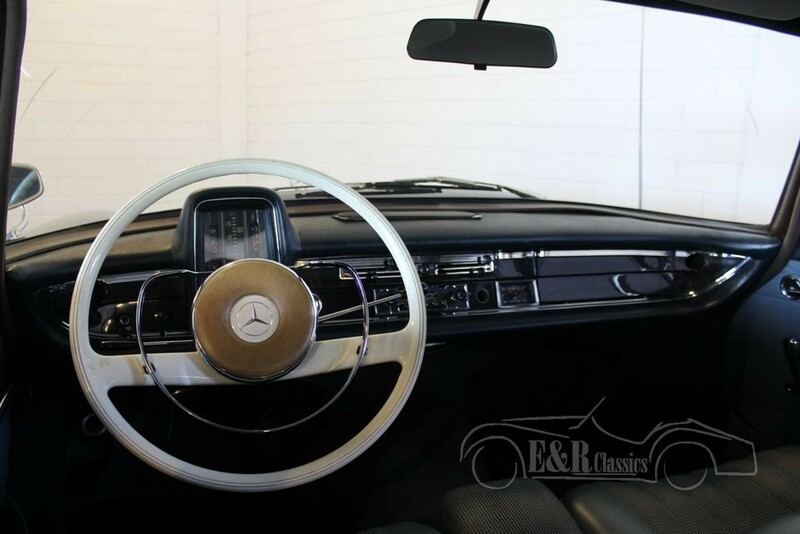 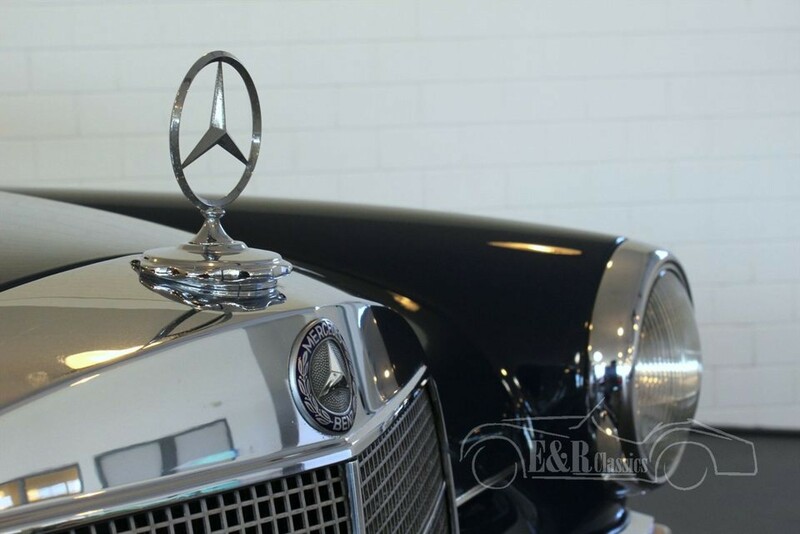 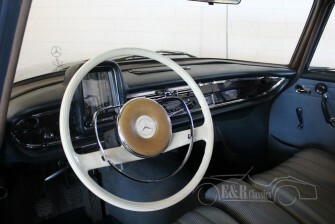 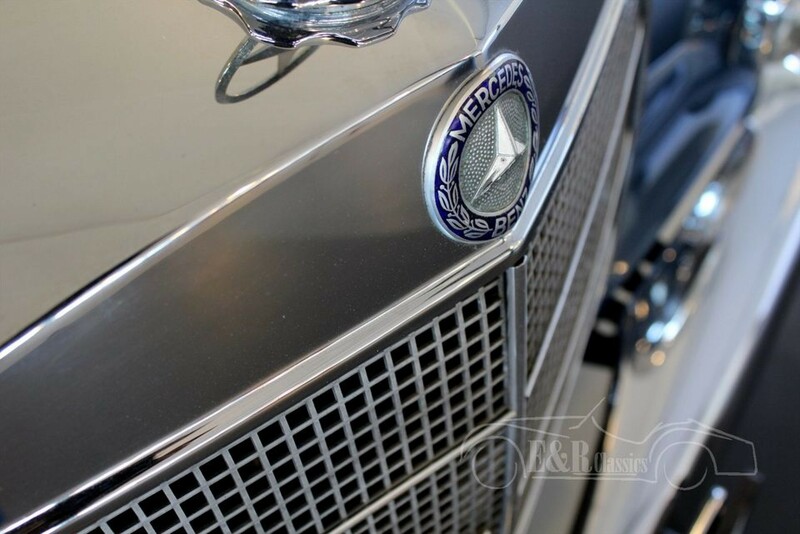 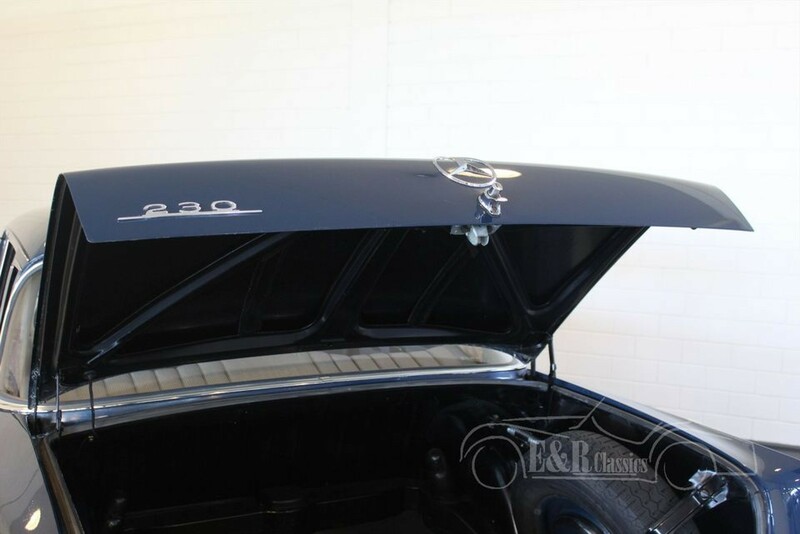 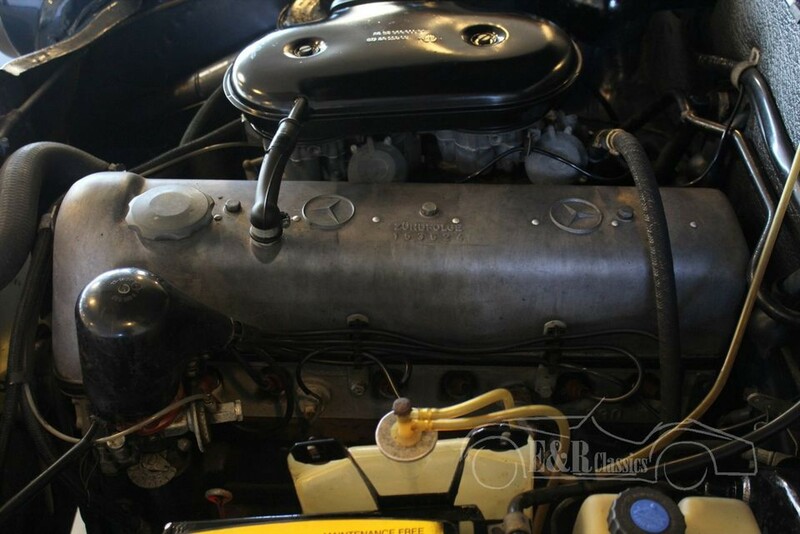 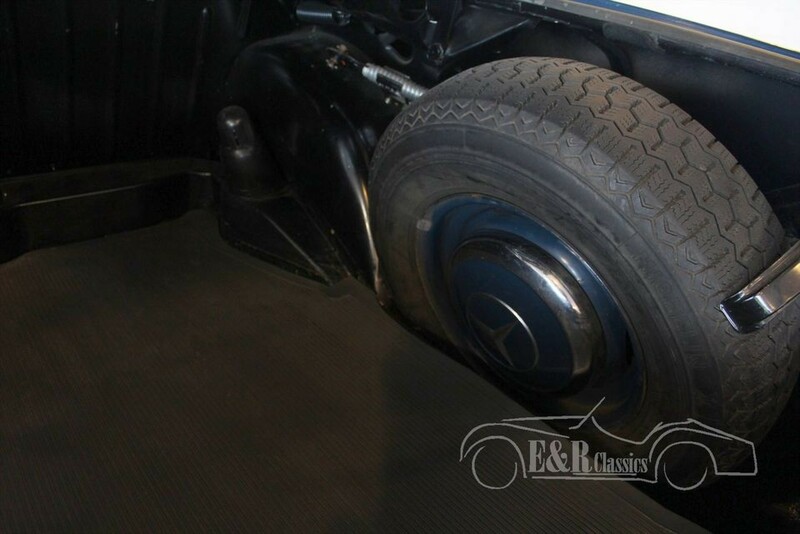 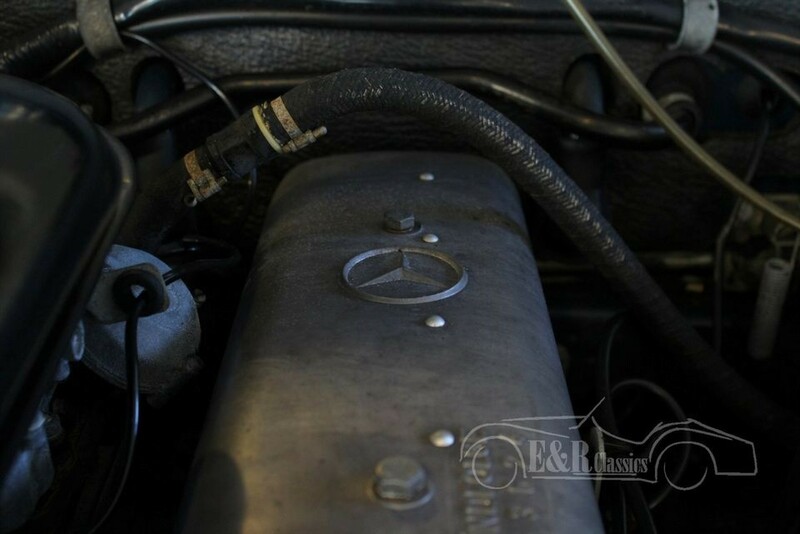 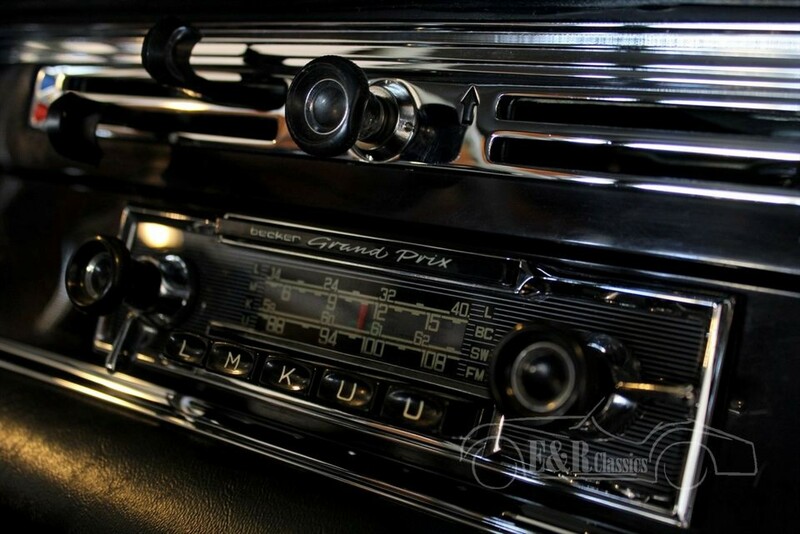 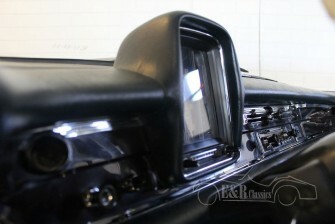 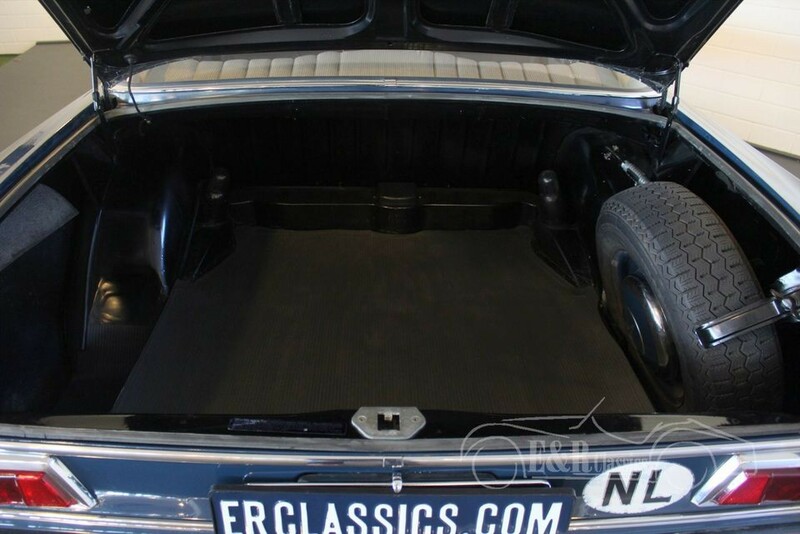 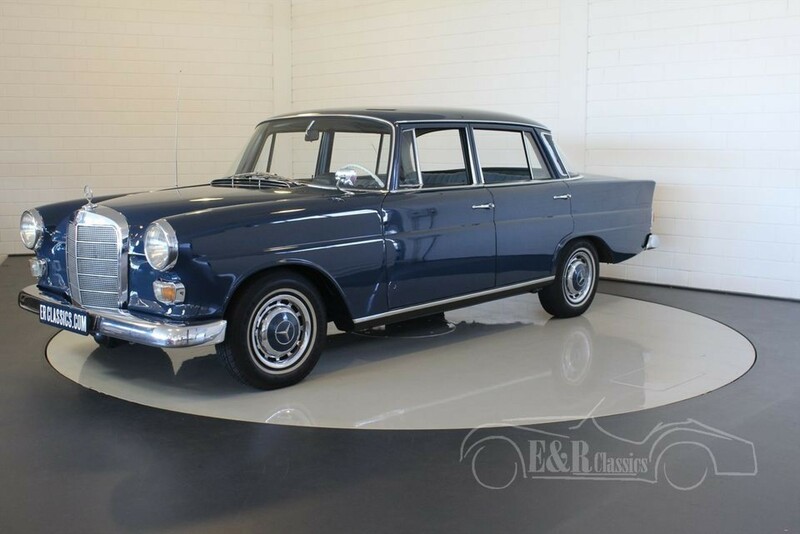 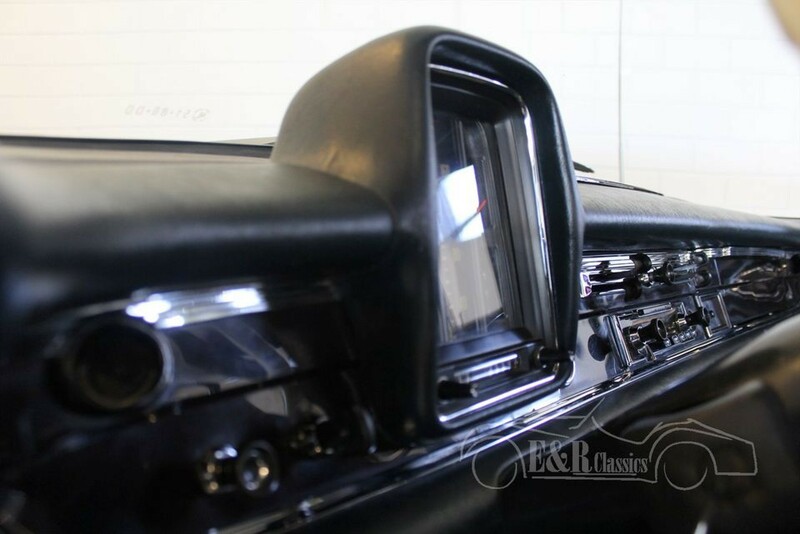 This Mercedes-Benz 230 ‘heckflosse’ is in very good condition and fully ready for driving.